Looking for Effective Teeth Whitening? Come in for a complete exam, X-rays, and a cleaning and join the Free Teeth Whitening for Life Program. We’ll provide a set of trays and whitening gel for life for free! Everyday consumption of teeth-staining foods and beverages can really take a toll on the way our teeth look, and home whitening kits are all the rage. However, these over-the-counter teeth whitening products are often only mildly effective in helping you achieve a genuinely whiter, brighter smile. 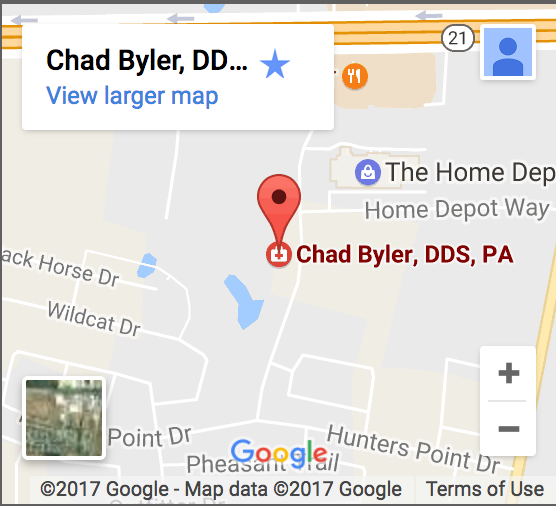 Dr. Byler offers the ultimate teeth whitening solution in Bastrop by offering a tremendous deal on Free Teeth Whitening for Life for patients. That’s right – You’ll receive one free set of trays and whitening gel for life! We offer patients seeking whiter teeth a take home remedy to use at their convenience instead of UV light in-office treatments that can ultimately weaken and dehydrate the tooth structure. Dr. Byler provides a simple solution with whitening trays and gel that are safe and effective. Once you have undergone a complete examination, cleaning and x-rays, you qualify for our Free Teeth Whitening for Life program. The first step to a whiter smile involves us taking an impression of the teeth that you want to lighten. This impression is used to create an accurate model of your teeth that the whitening tray will be fabricated to match. The thin, clear tray is designed to fit right over your teeth and will have a special reservoir where the whitening agent is to be applied. On your second visit, your customized whitening trays will be ready. Dr. Byler and his team will demonstrate how to properly apply the whitening agent into the tray, as well as the proper positioning of the tray in your mouth. Depending on your whitening goal and schedule, Dr. Byler will discuss the period that you will need to leave your whitening tray in and how many days per week you will need to use it for maximum efficacy. Take Advantage of Free Teeth Whitening for Life! Don’t miss out on this once in a lifetime opportunity to enjoy a brighter smile for the rest of your life. Call our office today at (512) 308-9860 to schedule an appointment for your complete examination, cleaning, and x-rays to qualify you for our Free Teeth Whitening for Life Program.